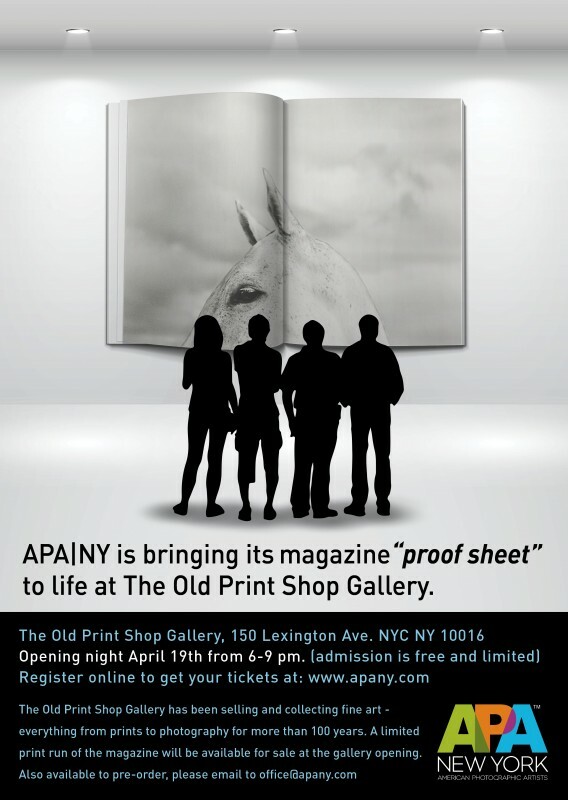 For the first time ever, APA|NY will have an issue launch at The Old Print Shop Gallery where we will bring the 'proof sheet' magazine to life. There will be 5 bodies of work on the wall with more in table racks around the gallery. A limited print run of the magazine will be available for sale at the gallery opening. If you are unable to attend and would like to order a copy, please send an email to office@apany.com. The opening night will be on April 19th from 6 - 9pm, and the show will run until May 2nd.